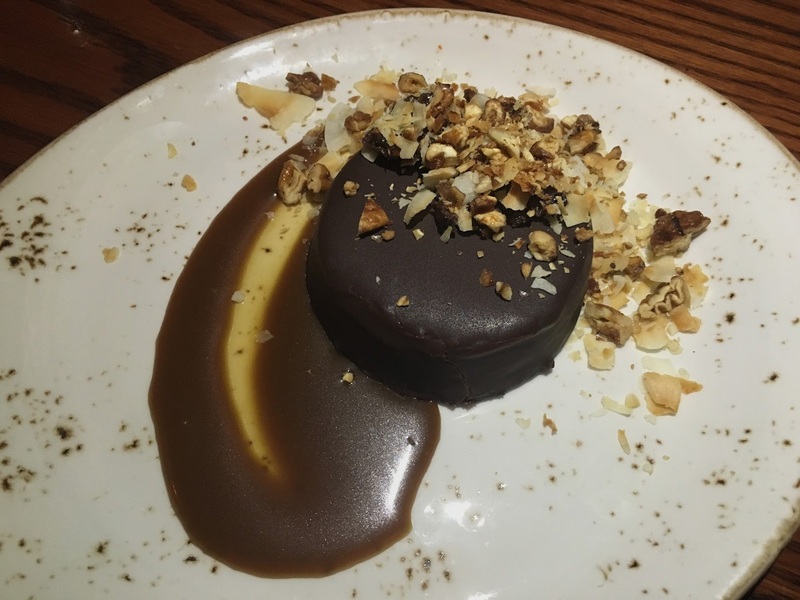 Found, a social house and restaurant in Evanston, is the work of Amy Morton (daughter of Chicago restaurant legend, Arnie Morton), and Chef Nicole Pederson (Lula Cafe). It's a spot I've been meaning to try for awhile, and felt was worth the trek from the city up to Evanston. The BF and I met up with another couple for a weeknight dinner to find the entire place buzzing. Found's dining room is very boho chic, complete with various objects and artifacts that have been found (true to the restaurant's name). The menu is meant for sharing, including an ever-changing list of small plates and larger plates. We decided to split several items, as well as dessert. Our first course was a classic cheese plate with three goat cheese varieties, and two cow cheeses. 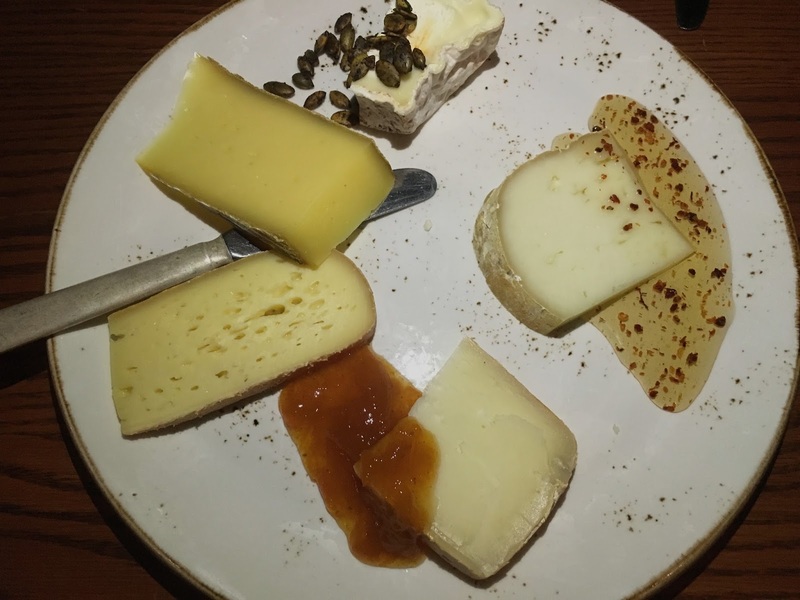 The cheeses were served with housemade lavosh which I thought was a nice and different touch. My favorite accompaniment was the honey and red pepper flakes (I definitely need to try this at home!). The housemade lavosh was light and crispy, and didn't overpower the flavors of the cheeses. Our next plate was the lamb meatballs with pistachio chimichurri and mint yogurt. What could be bad about that? Some people in our party felt this dish was lacking in flavor, but I really enjoyed it and it was one of my favorites. Adding pistachios to chimichurri is genius! 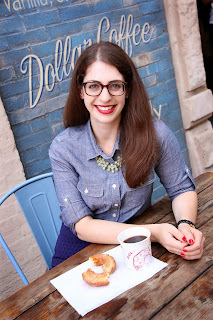 One of the simpler options on the menu is the pomme frites with housemade ranch and hot sauce. The crispy fries arrive drizzled with hot sauce, and then you can dip them in the cool ranch sauce. So simple, yet so delicious. We were definitely feeling the fried options that night, and ordered the chickpea fritters with parsnip, green chilies, coconut chutney, and chermoula. The coconut chutney almost tasted like a coconut hummus, and offered a creamy contrast to the crispy chickpeas. Unfortunately, I felt like this dish sounded better on the menu than it tasted. 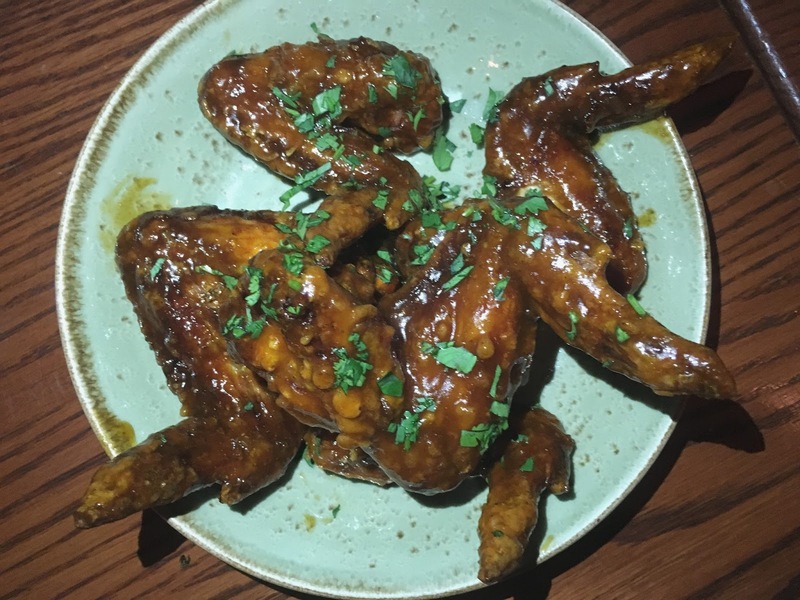 A highlight of the evening was the twice-fried chicken wings with honey, lemon, and smoked chilies. These wings were sticky and finger-lickin' good! We tasted a strong orange flavor in the sauce that was bright and acidic. You could tell these wings were twice fried because of their exceptionally crispy skin on the outside, and super juicy meat on the inside. Yum yum! At this point, we weren't full, but we also weren't starving, so we decided to move along to dessert. Thank goodness we did because the two desserts were tried were amazing. The first was a dark chocolate covered caramel cheesecake with toasted coconuts and pecans, and the most insane caramel sauce on the side. Holy moly, I'm still dreaming of that sauce. The crispy chocolate shell gave way to a light and creamy cheesecake, that was nicely complemented by the crunchy coconut and pecans. A must try! 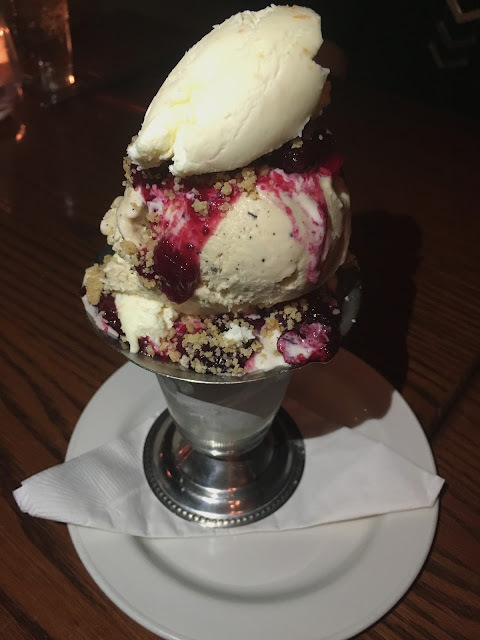 Our second dessert was a caffe latte gelato sundae with spiced cranberries, espresso, and whipped mascarpone on top. It was definitely a showstopping sundae! The gelato had just a hint of coffee that wasn't too overpowering, and the tart cranberry helped balance the overall sweetness. And I can't forget the whipped mascarpone! It was incredibly smooth and way better than whipped cream. 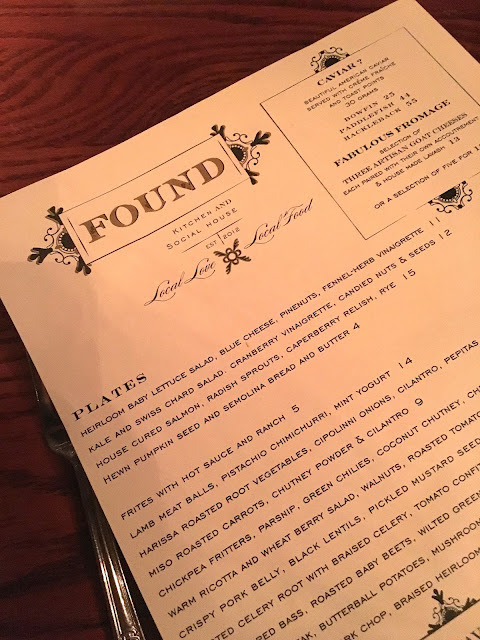 Overall, I enjoyed the ambiance and variety of dishes at Found. It's always fun to get to try several dishes, especially with a larger group. I also appreciate a restaurant that puts as much effort and thought into their dessert menu as they do their main menu. The only hiccup of the night was our server forgot to put in our order for our second round of dishes, resulting in a long wait for a food and nothing to make up for it. I'm giving Found 4 ghosts out of 5!